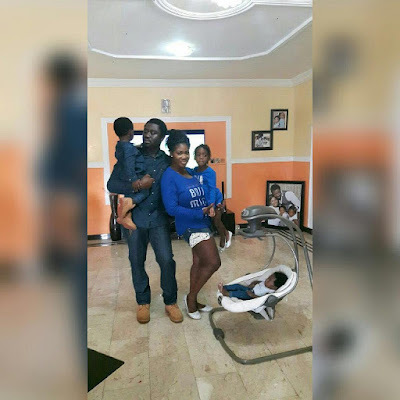 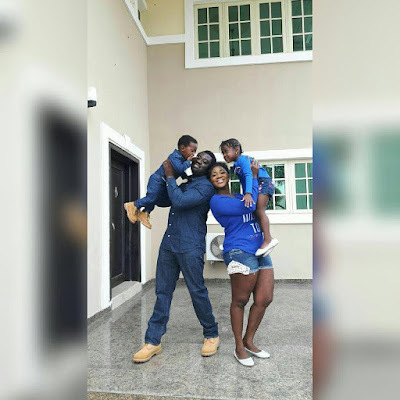 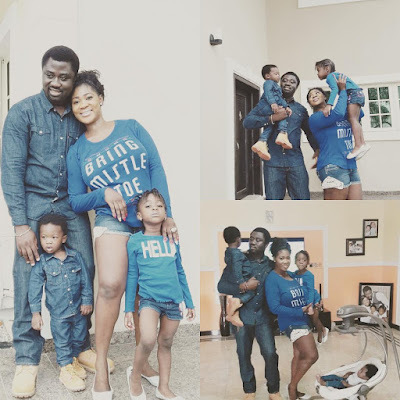 The talented actress, Mercy Johnson shared these lovely and adorable family photos with a very heart-melting message as a caption as she marks her hubby's birthday today. 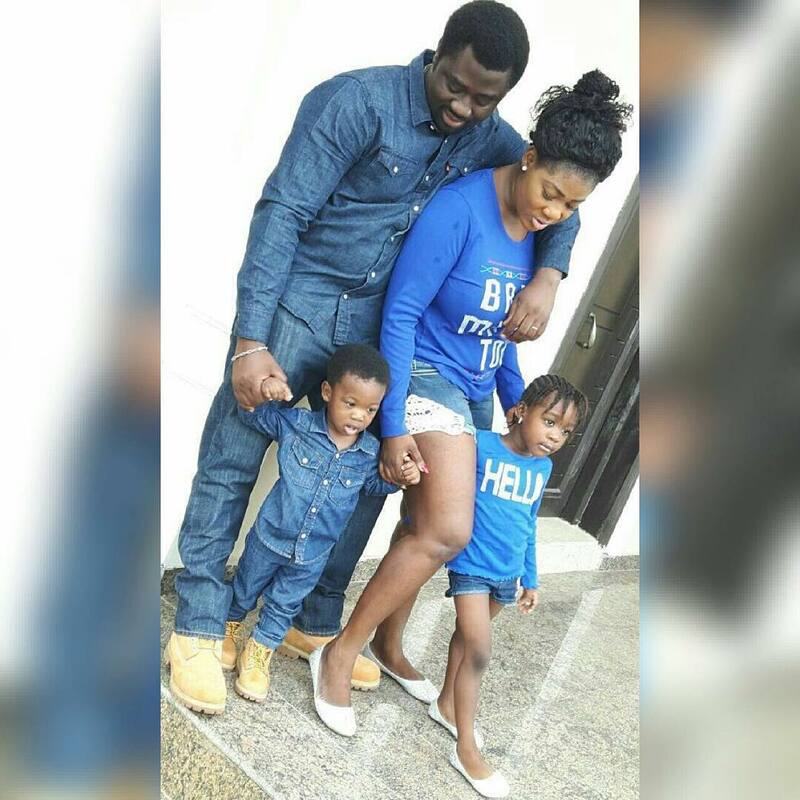 She rocked matching outfit with their daughter while her husband rocks the same outfit with their son. 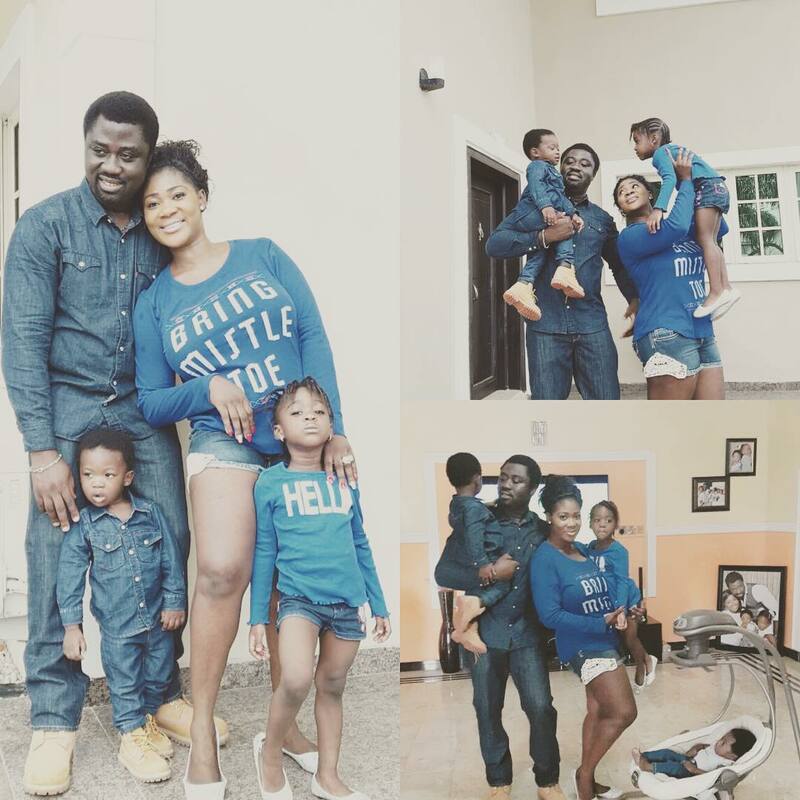 I've never seen something as lovely as these photos in a while! More photos of this amazing family after the cut..